Sue Finderup is a New Zealand registered Dietitian and Business Development Manager at Waitaki Biosciences. Waitaki Biosciences is set to launch three new natural ingredient products into the global nutraceutical market. 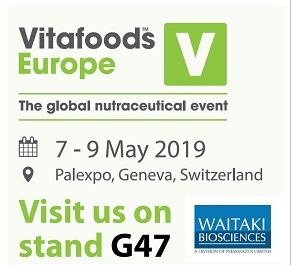 The new products, which will officially launch at Vitafoods Geneva, May 10th-12th, will expand Waitaki’s science based product range deeper into the anti-aging, digestive health and anti-inflammatory markets.